If you need durability, strength, comfort, and stability in your laboratory, Nichiryo Pipettes are guaranteed to impress. Founded in 1944, Nichiryo began as a manufacturer of measuring glassware and has since expanded immensely. 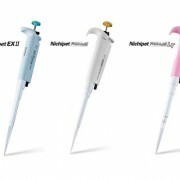 For over 25 years they have been making quality Japan-made pipettes and our experts at Pipette.com examine three of their finest pipettes: Nichiryo Pipette EX II, Nichiryo Pipette Premium, and Nichiryo Pipette LT.
For an affordable and durable alternative to the Gilson style pipettes, the Nichiryo Pipette EX II is a great choice. The polytetrafluoroethylene (PTFE) resin contained in its airtight chamber ensures that it maintains accuracy and reliability for years. This pipette is made to be UV resistance, which ensures your results won’t be compromised by brittle or fragile pipettes. To top it off, it’s designed with comfort in mind, the enlarged finger rest allows for a comfortable grip and reduces the chances of fatigue when pipetting. Slightly more expensive than the Nichiryo Pipette EX II, the Nichiryo Pipette Premium ensures that you get your money’s worth. With a durable plunger made of non-corrosive ceramic, a strong seal ring and a 5-year warranty, this is a product that you can rely on to provide you with accurate results for a long time to come. Furthermore, its hyper blower system contains longer push strokes in order to increase dispensing efficiency and its body is designed so that hand temperature does not permeate through the body of the pipette and affect volume measurement. 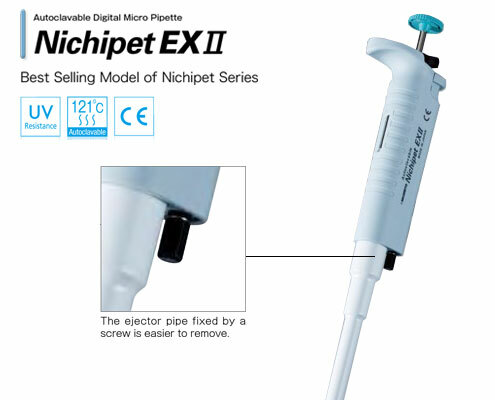 The Nichiryo Pipette LT is based on proprietary Japanese technology that allows for 70 percent less pressure to aspirate and dispense liquid without sacrificing any accuracy or precision. This allows you to work fatigue-free and reduce the chances of developing repetitive strain injury (RSI). In addition, its extended blowout system improves accuracy and precision for micro-volumes and its seal-ring was tested to last 600,000 samples, which is equivalent to pipetting 6,250 96-Well Plates. 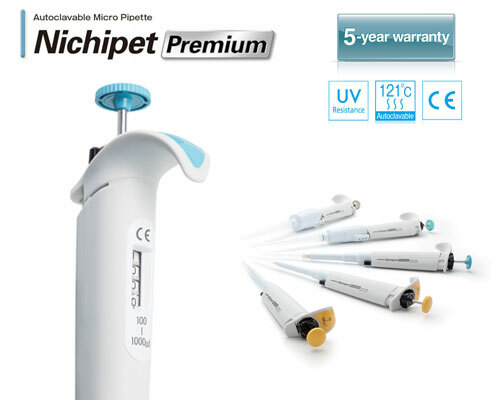 Each of the above products offer their own unique benefits – while the Nichiryo Pipette EX II is a great product that provides accurate results for an affordable price, the Nichiryo Pipette LT is the higher-end model that provides that same quality results with the addition of unique technology that minimizes the chances of injury. In the end, the best product depends on what you’re willing to invest and how much value you place on their individual features. 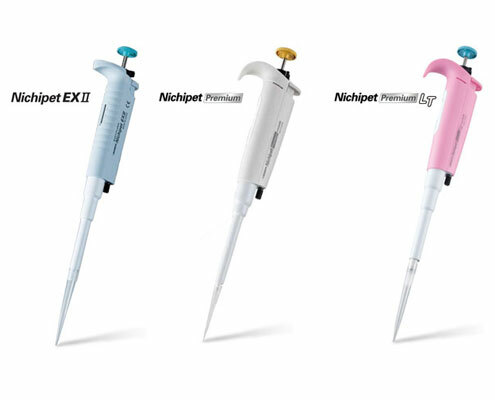 No matter which product you decide to go with, Nichiryo Pipettes are guaranteed to provide you with comfortable products that are durable and accurate. As of now, each of the above-mentioned products are buy 1 get 1 free at our Pipette.com store, so take a look at the promo codes today and make a purchase that will provide your lab with long-term results!